Do you know the difference between a conservatory and an orangery? A lantern roof and a gable roof? Use our expert guide to help you distinguish between the different types of conservatory and choose the right design for your home and budget. Conservatories come in many different shapes and sizes - from simple glass rooms through to spectacular glazed extensions. The choice is exciting, but it can also be bewildering, particularly when you factor in the investment of both time and money that you're making. Here, we guide you through the different styles of conservatory. You can use our advice to help you buy the best conservatory for your home and lifestyle. Will it mainly be used as a garden room, for growing plants or for pets? A basic type of conservatory that can be accessed through an existing door from your home will probably suit your needs. Do you just want to use it on warm summer days? If so, you can probably get away with a fairly simply constructed conservatory, but you'll need to think about the impact of its temperature on the rest of your home and how cold it will be in winter. Do you want to use it to extend your living space all year round? You’ll need to think more carefully about size, style, construction and the interior features, as well as the cost of integrating it into your home by knocking down a wall to make it an open-plan space or having double glass doors fitted. Is it a wow factor you're after? Orangeries can be impressive, especially if they have a lantern-shaped roof. But they are pricer, so be clear on what you want. To help you choose what type of conservatory to go for, we wanted to find out more about why people buy a conservatory and what they use it for. So we asked more than 100 Which? members* who own a conservatory to tell us about their experiences. 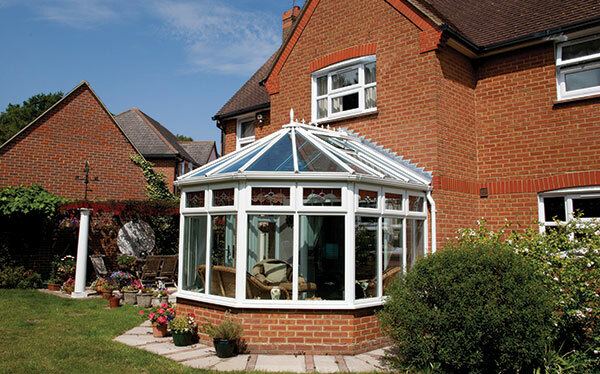 Conservatories come in many different shapes and sizes to fit various lifestyles. Different materials and combinations can be added together to suit your needs. Flick through our gallery below to see what the different styles of conservatory look like, and read on for explanations of the main differences. Sometimes called Mediterranean, this is the simplest type of conservatory and is a good option if you're on a tight budget. A very popular conservatory style with a bay front, pitched roof and ornate roof ridge. Similar to a Victorian-style conservatory, these have a flat front and a rectangular shape. A mix of lean-to and Victorian or Edwardian styles to create a 'P' shape. 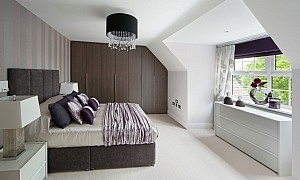 These are often fairly large and good for providing flexible extra living space. A conservatory with a central projection that often extends across most of the width of your home. Good for detached houses with large gardens. A spectacular design that is halfway between a conservatory and an extension. They have a more substantial structure than a traditional conservatory, usually with some brickwork. A glass 'lantern' roof added to a more solid roof structure is popular in orangeries and can create a feeling of space and luxury. This type of conservatory is a bit more like an extension. This is because they have a fully tiled roof, rather than a glass one. Industry insiders we spoke to say there's been a growing trend towards more substantial conservatories. These are technically known as orangeries, although they are also sometimes called garden rooms or sun rooms. Orangeries are half way between a traditional conservatory and a small single-storey extension. They tend to include more brickwork, often with brick pillars or supports in the corners. They have a semi-solid roof with a glass lantern in the centre, or a fully tiled roof. 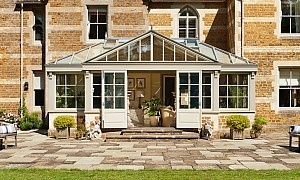 Orangeries are also often integrated more fully with the rest of the property, sometimes with no dividing door. So they can add a real wow factor to your home. 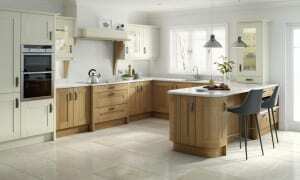 You can choose different elements to suit your needs and style. Because they can be made more bespoke, it's perhaps not surprising that orangeries tend to be more expensive than a traditional conservatory. As a result, they often need to comply with building regulations and be granted planning permission. What your conservatory is made from will affect not just what it looks like, but how easy it is to maintain, how warm it is and how light it is. You need to think carefully about this, as a lot of conservatory owners mentioned the temperature in their conservatory in particular as a big regret. Read on to learn more about the choice of materials for your windows and roof, window frames and walls. Then visit our conservatory pitfalls page to find out how you can avoid the decisions conservatory owners most regret. Some conservatories have no brick walls at all, just glass. But be warned that floor to ceiling glass all the way around your new conservatory can risk making it feel like a greenhouse. It can also be too hot or cold, depending on the season. Adding more brickwork will make your conservatory feel more like part of your home. Many conservatories have dwarf walls below the windows and some have at least one solid wall. You'll want to consider insulating any brickwork to help regulate the temperature of your conservatory. Glass roofs are most common with conservatories as they are a great way to bring more light into the room. However, you don't have to have a glass roof. 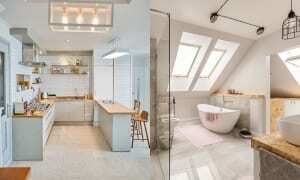 You could have a fully tiled one, which will make your conservatory feel more like an extension. If you don't want an all glass roof but want to make the room brighter, you could consider having a roof light fitted. Thermally efficient glass - this type of glass should stop heat escaping. You can install double-glazed panels filled with an energy efficient gas, such as argon. Other types of thermally efficient glass use a special coating to stop heat escaping. Self cleaning glass - a special outer coating reacts with sunlight to break down dirt, so you shouldn't have to clean them as often as with normal glass. It's worth noting that self-cleaning glass works best with more steeply pitched roofs. Anti-glare, reflective or tinted glass- tinted glass can reduce the sun's glare. This can be really useful in the height of summer, especially if your conservatory will be facing the sun for the majority of the day. Most conservatory window frames and doors are made from uPVC. This is extremely easy to maintain and doesn't rot or flake, but it can lack charm. In our survey we found that most people (nearly nine in 10) have uPVC window frames. Other less common options include aluminum or steel frames and wood frames. Wood will need more maintenance, but is likely to add a more elegant feel to your conservatory. Aluminium or steel is stronger, so the frames can be thinner and therefore will let in more light. Metal will give your conservatory a more contemporary look.